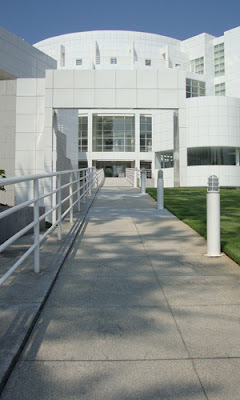 Atlanta's High Museum of Art is housed in one of the world's largest art complexes in the world—the Woodruff Arts Center. This photo of the High is the Richard Meier-designed, award-winning building that opened in 1983 on Peachtree Street. Originally founded in 1905 as the Atlanta Art Association, the High Museum of Art received its first permanent home in 1926, also on Peachtree Street. Today, the Museum is twice its 1983 size (now 312,000 square feet), the result of a three-building expansion designed by the famous Italian-born Renzo Piano.